Mother Bear, Father Bear and Baby Bear live peacefully in the forest… until a little girl breaks into their house and gobbles up their porridge! How should the startled bears react? 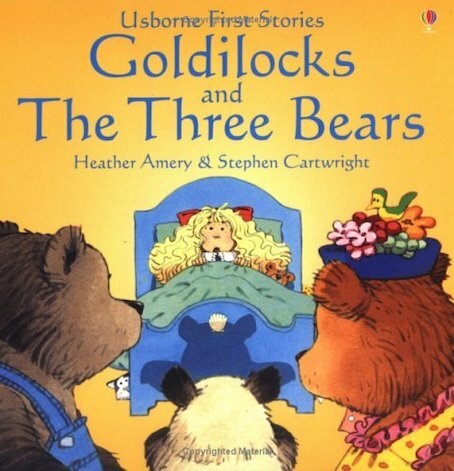 This delightfully simple retelling of a much-loved fairy tale is created by Heather Amery and Stephen Cartwright, the team behind Usborne’s popular Farmyard Tales first reading series. The easy text is perfect for reading together or enjoying alone, while Stephen Cartwright’s deliciously colourful pictures are full of clues to how the story unfolds!